For the first time, you can experience the rich history of Rome as a bookend experience in a single cruise. 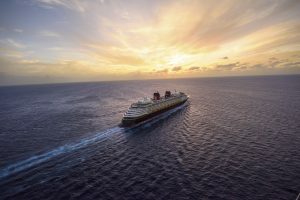 On June 14, 2019, the Disney Magic will sail an eight-night round-trip cruise from Civitavecchia (Rome). 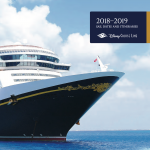 In 2019, the Disney Dream will sail a series of cruises that include two stops at Castaway Cay so you can have twice the fun in the sun and enjoy even more of Disney’s award-winning pristine island paradise. These special itineraries are in addition to three- and four-night Bahamian cruises from Port Canaveral that visit Nassau and Castaway Cay. All Guests can book starting March 8, 2018. In the summer of 2019, you can enrich your vacation experience by combining a European cruise with a pre-cruise package from Adventures by Disney®. Three-night Short Escape packages are offered in Rome, Copenhagen and Barcelona, allowing you to experience memorable icons in unforgettable ways, such as an after-hours visit to the Vatican Museums in Rome or flamenco dancing. You can also enhance select European sailings with an Adventures by Disney package during the cruise. Knowledgeable Adventure Guides lead travelers to experience the best of each port, helping to unlock the wonders of the destination through immersive excursions and off-the-beaten-path adventures. In addition, you will enjoy exclusive receptions onboard and concierge service from these dedicated guides throughout the voyage.